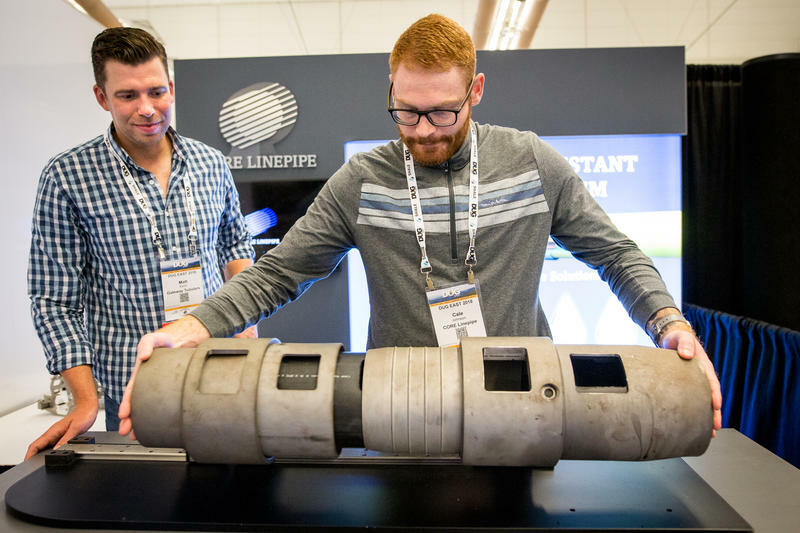 Left Matt Keller, of Gateway Tubulars and right, Cale Johnson, of CORE Linepipe, demonstrate the locking and metal crimping method for connecting their pipes. The two manned a booth at Hart Energy's DUG East Conference in Pittsburgh June 20 & 21, 2018. West Virginia University’s Brian Anderson had the job of letting everyone know that Chinese government’s China Energy would not be on hand to talk about their $80 billion plus investment in West Virginia. Why? Tariffs. At both the Northeast Petrochemical Construction and the Hart Energy DUG East conferences international trade was major topic of discussion. For petrochemical producers -- notably the businesses that take natural gas and crack it into ethylene that ultimately shows up in plastics -- tariffs are becoming a concern. "We’re going to have an oversupply," said Taylor Robinson, the president of PLG Consulting. "The relief valve for that is exports." During his talk, Robinson highlighted increased production, including new plants coming online in the region. He said one of the biggest risks to growth right now are escalating tarrif threats. "China has put a big tariff on imported polyethylene," Robinson said. He added that has thrown a "big wrench" into many Gulf Coast producers' plans to export to China, the largest market in the world for polyethylene. "Never a dull moment," he quipped. And on the production side, U.S. steel tariffs are giving one Canadian pipeline firm pause. Taylor Robinson, President of PLG Consulting, called tariffs one of "the biggest risks right now" for the petrochemical industry. 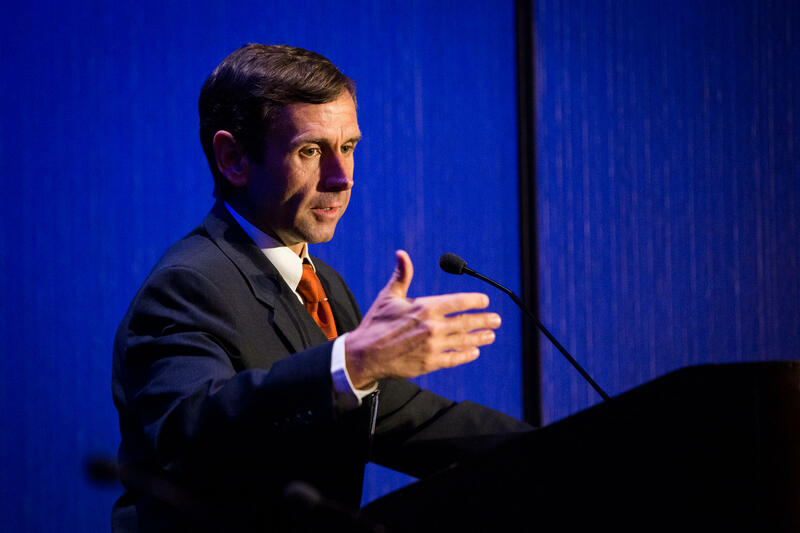 He spoke at the Northeast Petrochemical Construction Conference in Pittsburgh June 19, 2018 at the Westin Conference Center. Cale Johnson, traveled from Calgary with Canadian CORE Linepipe to work the floor. For him, these tariffs are having a "big time" impact. "Our product is steel so we’ve been directly affected by the new tariffs," he explained. "It’s increased our commodity price significantly so it’s been challenging. However all steel products are affected, so it’s just a challenge the whole industry is faced with." Johnson said ultimately, end users will have to pick up increased costs created by tariffs. "If we are launching down here, we might have to evaluate American distribution or pipe that’s made in the states to possibly avoid those tariffs," he said. 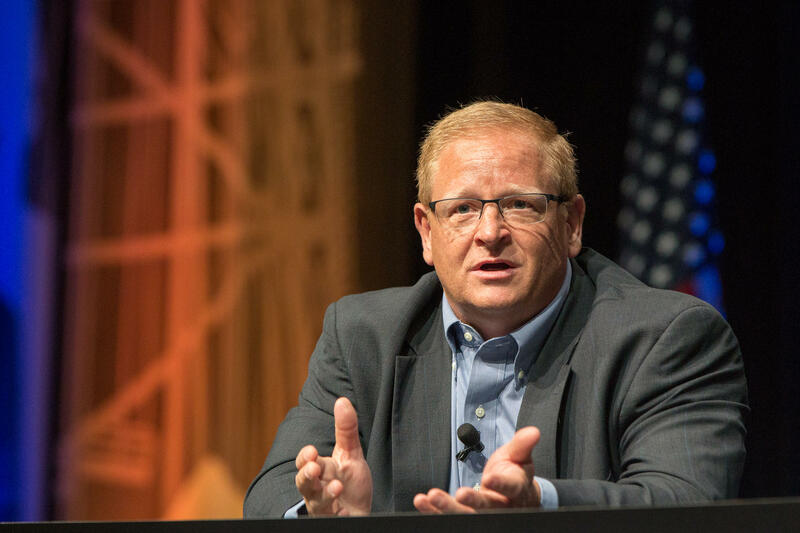 At Hart Energy’s DUG East, which brings together natural gas industry drillers, shippers and support businesses, much of the focus was how to better adjust to the current market -- gas prices are low and production increasing. So, the question is: how do you drill smarter? Benjamin Hulburt, Chairman, President & CEO, Eclipse Resources speaks at Hart Energy's DUG East Conference in Pittsburgh June 20 & 21, 2018 at the Pittsburgh Convention Center. Benjamin Hulburt and his company Eclipse Resources recently set records for the length of the "laterals," or the horizontal distance from the vertical drill in a well pad, it has drilled. The company drilled out more than 20,000 feet (nearly four miles) from the well pad, but with low gas prices, Hulburt said the economics can be challenging. "In today’s natural gas environment, if you are not the low cost producer, the low cost driller, you’re going to struggle to survive," Hulburt explained. "You have to be constantly innovating, and constantly trying to drive down that cost curve if you are going to survive." Lots of conference attendees were optimistic about the future of the industry, despite the absence of Chinese investors and businesses. 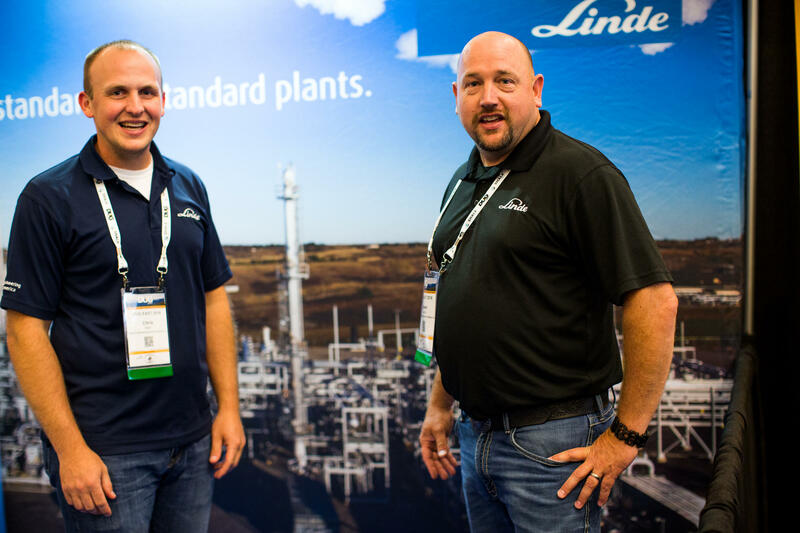 Shawn Quinton, from Oklahoma, works for a German company, Linde Engineering. The engineering firm designs and builds the plants that are essentially giant refrigerators that cool the natural gas so that it separates into the different gas types – methane, ethane and other derivatives Currently, they’ve got one job in the region, and he thinks he’ll get more. "We’ve had really good traffic," Quinton said. "Unfortunately, I am just about out of cards… I brought 100. Tickled pink to have that problem. Next time we’ll stock up and make sure we bring 200." There was also a lot of talk about jobs and training. Chevron’s Lee Ann Wainwright was part of a panel on STEM training and jobs. She said the industry needs candiates with "basic life skills." "We just need people to show up," Wainwright said when discussing hiring practices. "We need them to pass the drug test. We need them to be able to have a conversation, look you in the eye, and come on time." 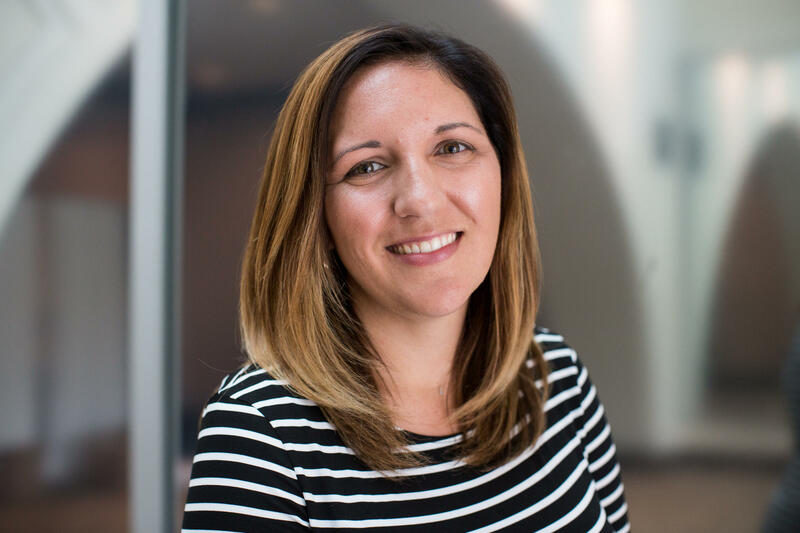 Lee Ann Wainwright, a Policy, Government & Public Affairs Advisor for Chevron said her company is looking for the "basic life skills as it relates to a job,” when looking at new hires. She participated in panel "Readying the Next-Generation for Careers in Advanced Manufacturing & Petrochemicals" at the Northeast Petrochemical Construction Conference in Pittsburgh June 19, 2018 at the Westin Conference Center. Wainwright, who is a policy, government and public affairs advisor with Chevron, said her company looks to train employees on the job. "Don’t get me wrong -- there’s always going to be some jobs where you need that 4-year degree and maybe beyond -- but a lot of jobs in the energy and manufacturing right now are skilled labor jobs and once you have the foundation and you are in the door, we can get you trained," she said. Along with workforce issues, trade wars and low gas prices that can affect growth, other issues surfaced. Community concerns and protests against drilling and pipeline construction is now a part of the industry’s equation. There was some limited discussion on environmental issues such as leaking methane from gas wells and pipelines. That’s a big deal when taking into account the entire life cycle of natural gas and its impact on climate. And one speaker cited climate change with a different twist -- the extreme weather events that hit Gulf Coast production areas. Coastal flooding regularly takes petrochemical operations offline. In comparison, Applachia's weather is relatively tame, which could make the region a more reliable home for petrochemical production.